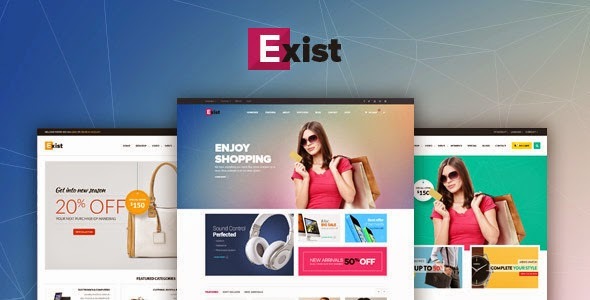 Lexus Exist a Opencart responsive theme support multi – store. If you are a merchant who is in business for lots of areas, Lexus Exist the right choice because you can manage unlimited number of sub shops from the same back office. This theme is a modern responsive Opencart theme which is extremely suitable for any eCommerce site about fashion shop or store having huge product range. This Responsive Opencart theme is built on Pavo framework version 3.0 and bootstrap version 3.x to make fully responsive theme that works perfect on all kind of resolutions as well for mobile, tablet, desktop having medium and large screen. With powered by the framework the theme support you many great tools to customize theme via using Live Theme Editor, Auto loading custom css file support you creating unlimited of theme profiles without coding very easy and simple. This great theme is powered with Pavo framework, one of the best Opencart framework. It is responsive and supports both CSS3 and HTML5 that help to create refined web pages with semantic accuracy. Lexus Exist Responsive theme comes with lots of built–in functionalist which include powerful admin panel. The powerful admin panel will help you manage your site better and make customizations easier. Item Reviewed: Lexus Exist Combo Opencart Themes 9 out of 10 based on 10 ratings. 9 user reviews.